Connecting your XCSOURCE® OBD Tracker AH209 / TK206 with a GPS live tracking platform only needs 4 basic text message commands. You can send these text message instructions by your smartphone or cell phone to the phone number of the SIM card which is located in your OBD tracker. The authorization of your phone number is not necessary. You don't also need a text message password for your GPS tracker setup (most trackers need a password but this tracker doesn't). If you are looking for another plug'n'play OBD tracker alternative you can take a look at our alternative plug'n'play OBD tracker section. Where can i buy the TK206 OBD tracker? The most important accessory for your GPS tracker is a SIM card. You cannot monitor your GPS tracker without a SIM card. Without this equipment a GPS locator is useless. But you don't usually need a mobile phone contract, a prepaid / pay as you go solution should fit your needs. Depending on the country you live you have a bunch of options. In UK and US you can monitor your GPS tracker without monthly or yearly fees, for example with Freedompop Freedompop free data and phones services in the USA1 or FREE Freedompop UK SIM card with 200MB monthly traffic1. In spain you should use SIMYO prepaid with 100MB monthly traffic for only 1€1. In the Netherlands you could use Prepaid with Simyo (1MB = 0,15€ or 150MB = 5€)1. If you are living in france please take a look at Lycamobile.fr 100MB / 3 EUR per month plan details1. The tracker should reply in a few seconds. 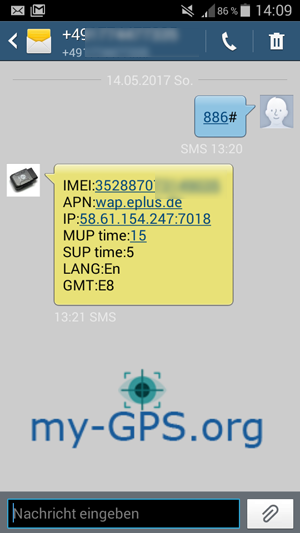 The reply contains the IMEI number (device serial number), the APN and the GPS tracking server IP / the server port. Usually the tracker is connected to a chinese server by default. You should change this immediately. (Attention: The fields 212.227.96.146 and 1234 are not the current server address data, you will receive the current data after registration). The APN defines the mobile internet GSM network. These data depends on the SIM card you are using. We are now using the APN data from Verizon as sample data. Please use this command without changes. 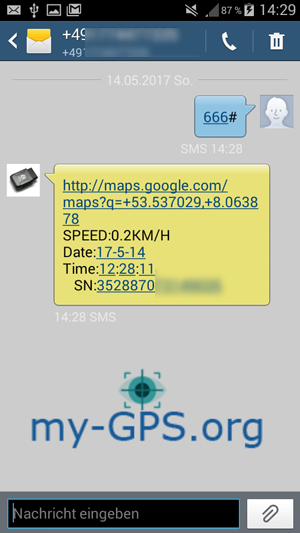 If you change the timezone the GPS tracking server will calculate a wrong datetime value. Our tracking servers are doing that automatically. You can find this OBD tracker with several brand names like XCSOURCE, VOVOTRADE, AH209 or TK206, just to tell a few of them. 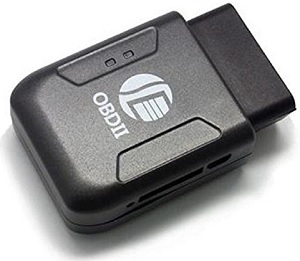 The easiest way is to order the OBD GPS tracker TK206 at AMAZON (.COM) (~ 23.13 USD)1 or OBD GPS tracker (black) TK206 at eBay1. 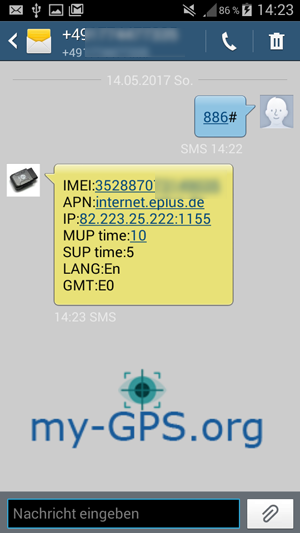 Use this command to query / request the device imei or tracker serial number. If your tracker fails connecting to a GPS tracking server you should check these settings first. You usually use your GPS tracker with a GPS tracking server. But if you would like to receive a google maps link by text message on your cell phone please use following command. 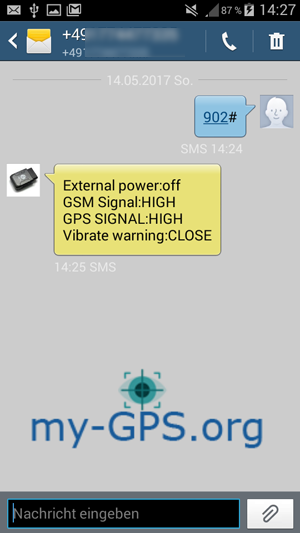 The reply to this command will show the GSM and GPS signal quality, the state of external power supply and if you are using the vibration / motion alert. The motion alert is not necessary for using GPS tracking platform but helpful while tracking in case of theft. You don't need to set these data if you only track your tracker on demand by text message. 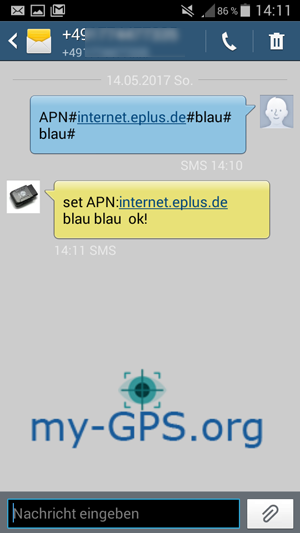 If you want to use a GPS tracking server you usually need to set the APN. Using this command you can set a GPS tracking server if you dont want to use text message mode. Dont forget to set the APN for your SIM card, otherwise a tracker wont connect to a server. This command defines the interval of GPRS / TCP data packages which are sent to server. An interval of 180 means 180 seconds, 10 means 10 seconds and so on. The factory default timezone is GMT+8 (china). Using this timezone will result in wrong datetime values in your GPS tracking account. You should set the timezone as shown on the picture (E0), because most servers will add the correct timezone later automatically. If nothing has gone wrong until now the new params should be like this (if you are using another GPS tracking gateway than ours the IP and port will differ from the image).